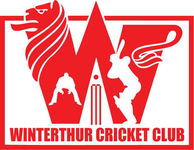 On Saturday 24th May there will be two Twenty20 friendly cricket matches involving Winterthur Cricket taking place at Deutweg. The first game, starting at 1pm immediately after junior training, will be between Zurich Crickets CC (Youths & Dads) versus a Winterthur 2nd XI, to be followed by a mixed ZCCC & WCC practice match. Between innings there is also going to be a barbecue. Players, their familes & friends and members of the two clubs are invited to come along to the barbecue (bring something to grill) and watch some cricket. More information available from Prafull Shikare.